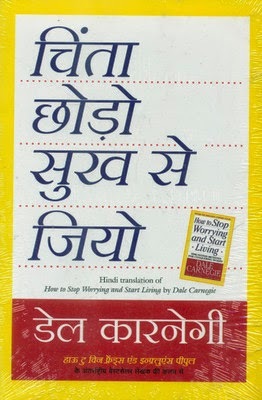 Chinta Chodo Sukh Se Jiyo is the Hindi translation of the international bestseller, How to Stop Worrying and Start Living by Dale Carnegie. 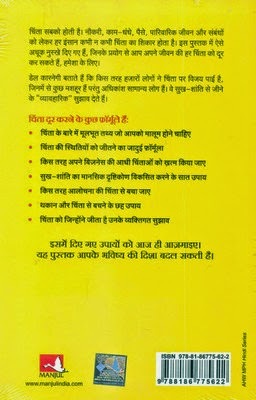 Chinta Chodo Sukh Se Jiyo is a unique self-help book which will lead you to a more enjoyable and fulfilling life by helping you become more aware of yourself and the others around you. The author tries to address the everyday nuances of living, in order for the readers to focus on the more important aspects of life. With the help of Carnegies’ timeless advice, you will be able to eliminate fear and worry from your life and be able to look forward to a worry-free future. He offers a set of practical formulas which will help you lead a satisfying and peaceful life. Fascinating to read and easy to apply, Chinta Chodo Sukh Se Jiyo deals with fundamental emotions and life-changing ideas. Dale Carnegie was an American author and lecturer. He studied at the State Teacher's College in Warrensburg, and later attended the American Academy of Dramatic Arts, New York. In 1912, he started teaching, and his courses concentrated on improving self-confidence, interpersonal skills, public speaking expertise, and salesmanship. He established the Dale Carnegie Course in Effective Speaking and Human Relations, which now has branches in over eighty countries. Carnegie passed away in 1955, in Forest Hills, New York. Some of the other books authored by him include Five Minute Biographies, Lincoln the Unknown, Little Known Facts About Well Known People, and How to Stop Worrying and Start Living.